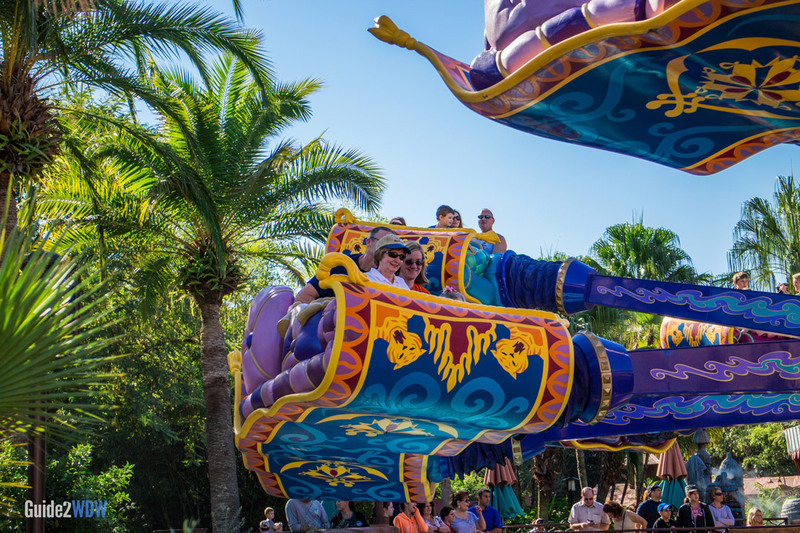 Take to the skies in The Magic Carpets of Aladdin. 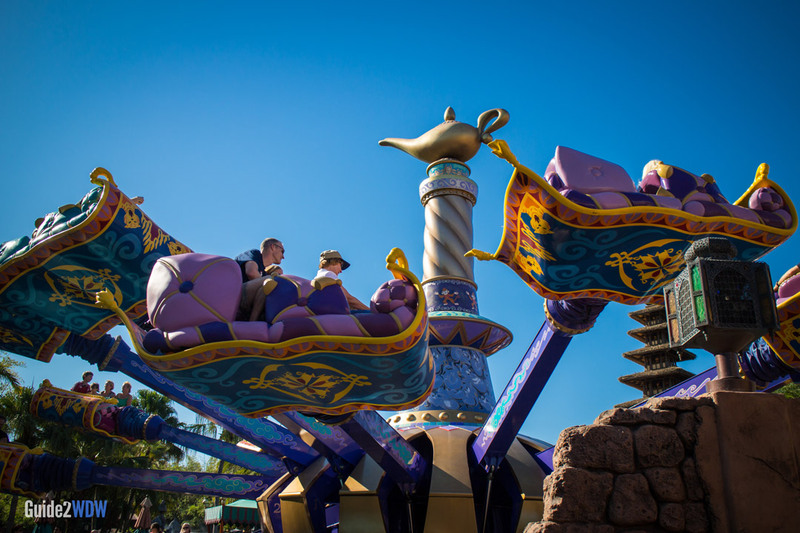 Very similar to the Dumbo the Flying Elephant, the Magic Carpets of Aladdin takes guests aboard flying carpets that circle around Genie’s lamp. The main difference in this ride, besides the theme, is the capability for four people to ride together. Magic Carpets of Aladdin is a very short ride, and somewhat derivative of similar rides throughout Magic Kingdom. 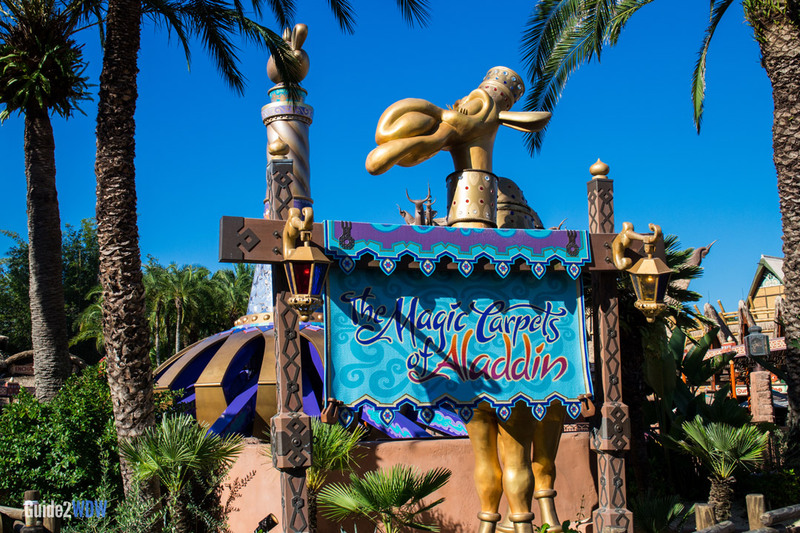 If you love Aladdin or Aerial Carousels, definitely check this one out. For everyone else, get to this if you have extra time to kill or if there’s no line. Does your child (or do you) love Aladdin? This is a potential character meet and greet spot for all of the Aladdin characters. Be careful when standing in front of Magic Carpets of Aladdin. The camel statues spray water. Be sure to check out the nearby Sunshine Tree Terrace to see the Orange Bird and try out the citrus swirl.